Located in Leander off S Bagdad Road, Trails at Leander by William Lyon Homes offers a unique alternative to a large master planned neighborhood. Homeowners will enjoy a boutique community with gated entry, architecturally impressive pool, and hike and bike trails meandering throughout. Priced from the mid $200’s, home buyers have the choice between five distinct one- and two-story floor plans ranging from 1,547 to 2,696 square feet with up to 5 bedrooms, 3 baths, bonus rooms, and offices (per plan). Winding roads, topography, and trees offer a feeling of seclusion. For those who enjoy a more quaint atmosphere, Trails at Leander is the place. Leander is a highly desirable, fast growing suburb northwest of Austin. With quick access to US 183 and the Capital Metro transportation system right down the road, this community is a perfect home for commuters. 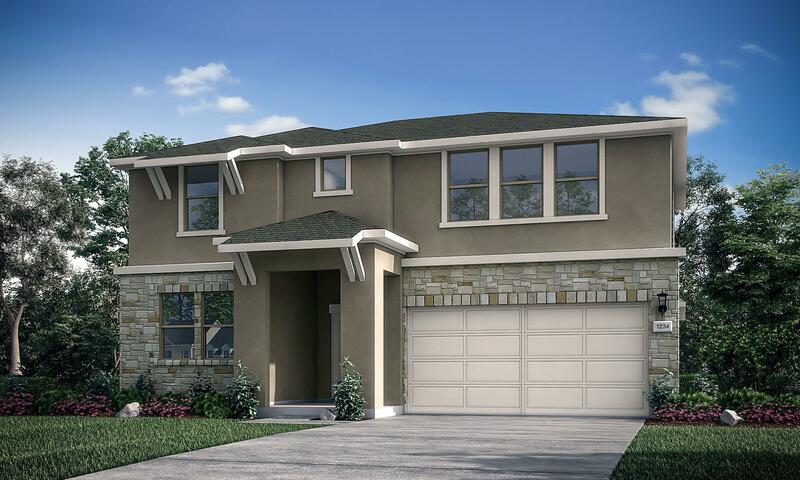 Home owners will enjoy Lakeline shopping, many dining options, and the new Cedar Park Center. Outdoor enthusiasts can take advantage of Crystal Falls Golf Club and nearby Benbrook Ranch Park. This 46.5 acre city park offers playgrounds, covered pavilions, batting cages, softball fields, skate park and disc golf.